By Melissa Lennig on January 8, 2015 6 Comments. This content contains affiliate links. As an Amazon Associate I earn from qualifying purchases. 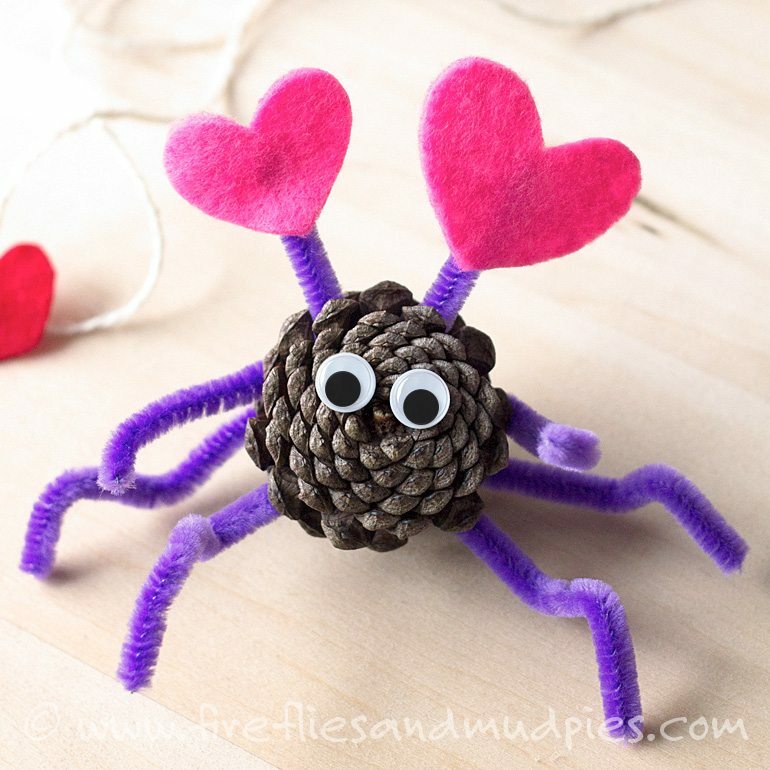 Born from my son’s imagination and ready for hugs, these little critters are looking for love—just in time for Valentine’s Day! 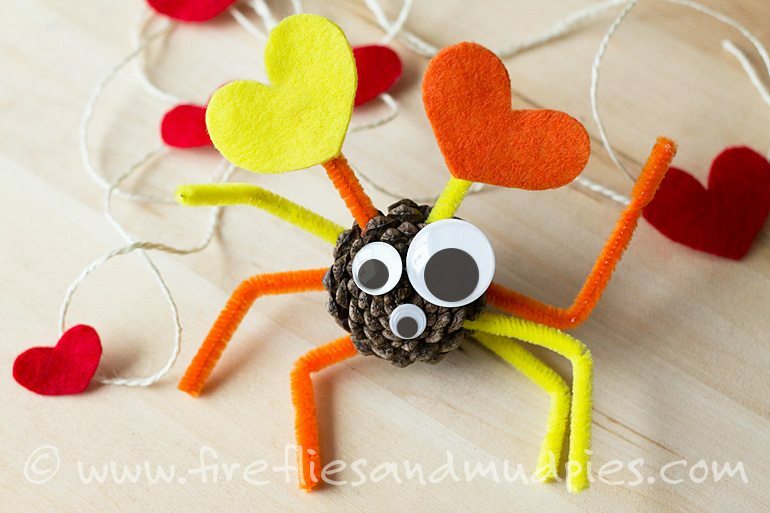 Pine Cone Love Bugs are fun to create and use for imaginary play. 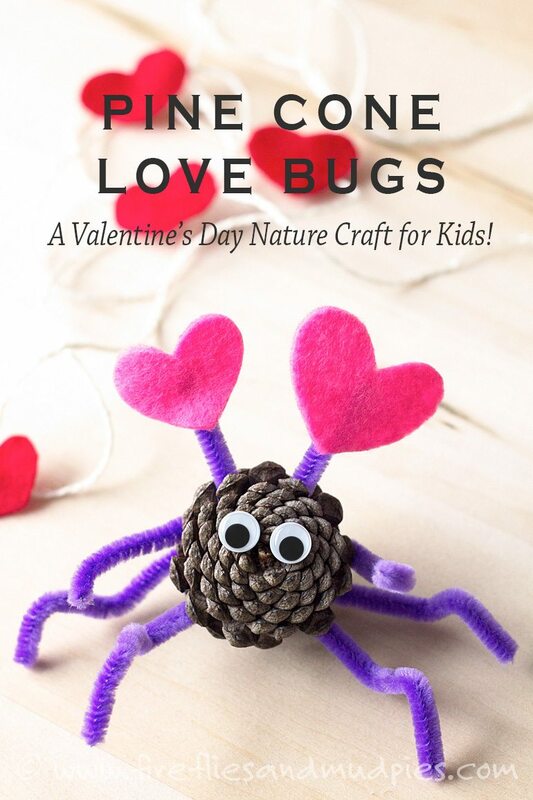 Are you following my Nature Crafts for Kids board on Pinterest? 1. Use the scissors to cut 3 pipe cleaners into thirds (about 4 inches). Attach them to the pine cone with hot glue. 3. Cut out 2 small hearts. 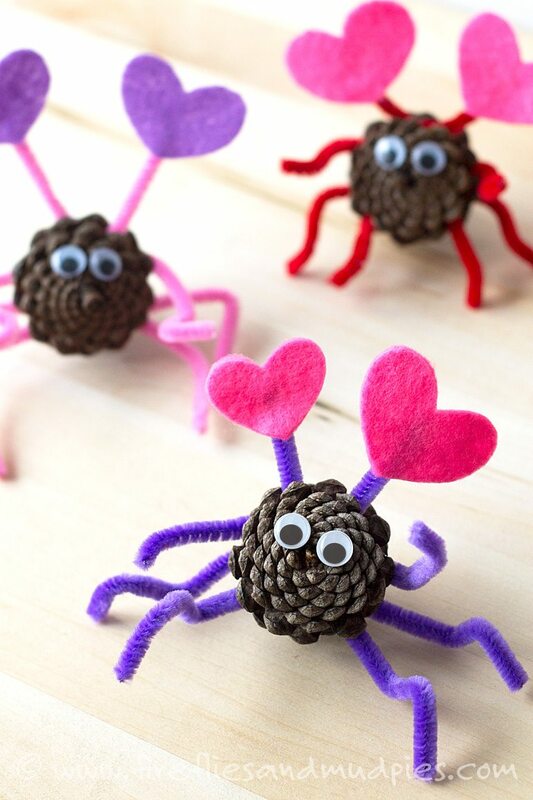 Glue the hearts to the pipe cleaner antennae. My kids and I think so! And they sure were fun to make.